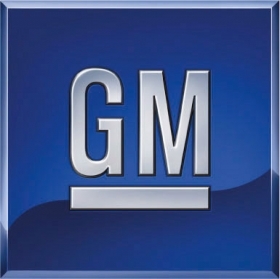 DETROIT -- General Motors Co. CEO Dan Akerson said the company's long-term strategy includes plans to build Chevrolet cars in Europe, but he did not indicate when. "We need probably to start manufacturing Chevrolets in Europe at some point in time. That's on the strategic 'What should we do list,' " Akerson told analysts at a company conference in Detroit last week. Akerson said that Chevrolet cars are now being shipped into Europe, which he admitted was "maybe not the most efficient" method. Klaus Franz, labor chief at GM's Germany-based Opel division, welcomed Akerson's comments. "We have been asking for this for a long time," he told the German news agency DPA. Franz said building Chevrolets in GM's European plants would improve capacity utilization at certain factories. For example, Opel's plant in Bochum, Germany, could build the Chevrolet Orlando minivan alongside the Opel Zafira. Most of the Chevrolet cars sold in Europe are made in South Korea. Chevrolet recently began making Chevrolet Cruze models in Russia. Also high-performance models like Corvette and Camaro are imported to Europe from North America. Chevrolet sold 477,000 cars in Europe last year, where its top five markets were Russia, Uzbekistan, Italy, France and Germany. Chevrolet Europe President Wayne Brannon has said that GM wants to sell 1 million Chevrolet cars in the brand's European markets by 2016. Chevrolet and luxury brand Cadillac are GM's only global brands and there is room for Chevrolet to grow in Europe along with Opel, GM marketing chief Joel Ewanick told analysts. Chevrolet in 2010 accounted for about 61 percent of GM's global sales, a figure Ewanick said will grow to 65 percent by 2016. Opel last year accounted for 13 percent of GM's total sales. Ewanick said that the company expects Opel's share to be 13 percent in 2016. Akerson in late July said Opel is not for sale. He said reports that GM wanted to sell Opel were "speculation." Chevrolet in 2010 had a 2.5 percent market share in Europe. Brannon has said that its seven model launches in 2011 will expand its offerings to include more of the smaller cars in favor with European consumers. Brannon has predicted a 3-percent 2012 market share for Chevrolet in Europe.